His death seemed like his life: face-paced and high-powered. 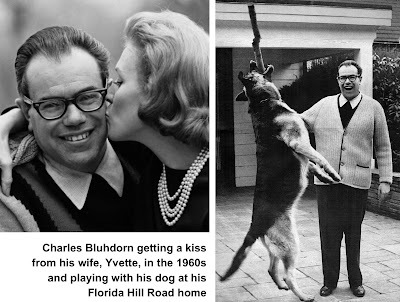 Charles G. Bluhdorn, who began his career as a $15-a-week worker and became one of the world’s richest and most powerful men, died of a heart attack on a corporate jet in February 1983, returning from a Caribbean resort he created. Born in Vienna in 1926, Bluhdorn as a boy was considered such a “hellion” that his father sent the 11-year-old to an English boarding school for disciplining. At 16, he came to New York, studying at City College and Columbia and served in the U.S. Army Air Corps during World War II. In 1946, he went to work at the Cotton Exchange, earning $15 a week. Three years later, he formed a company that would make him a millionaire at 30. In 1956, he acquired Michigan Bumper, a small auto parts company that eventually grew into Gulf and Western, a conglomerate that ranked 61st in the Fortune 500 by 1981 and owned Paramount Pictures, Madison Square Garden, and Simon & Schuster publishing as well as the Bohack supermarket chain, companies that made guitars and survival equipment for astronauts, and jet engine parts. He was CEO and chairman of the board. In 1965 he was on the cover of Time magazine as one of a handful of millionaires under 40; he was said to be worth $15 million ($114 million in today’s dollars). Gulf and Western had some 300,000 acres of sugar plantation there, with a workforce of 19,000 people — it was the nation’s largest private employer, biggest landowner, and top taxpayer. 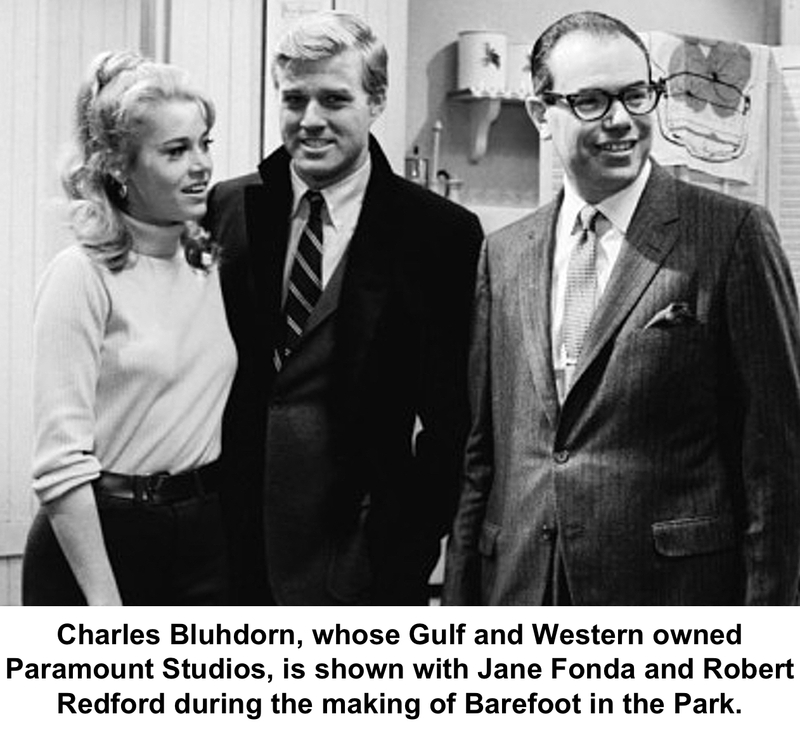 After he bought Paramount in 1966, Bluhdorn planned to develop moviemaking center on the island. Scenes from such films as Godfather Part II (1974), Sorcerer (1977) and Apocalypse Now (1979) were shot there. In 1963, Bluhdorn and his wife, Yvette, bought a 28-acre estate on lower Florida Hill Road. Over his years here, he quietly contributed to the community; for instance, he bought the Ridgefield Police a boat and trailer for its scuba team. He was also a trustee of Texas Wesleyan College and the Trinity Episcopal Schools Corporation in New York, and bought a 12-story building at 2 Columbus Circle in order to donate it to the city in 1980 as a cultural center. Bluhdorn was also modest in his tastes for a home. While his estate on Florida Hill Road had a pool, tennis court, greenhouse, and other amenities, his house had only eight rooms. When designer Alexander Julian bought the spread in 1988, he and his wife built and lived in a new 6,000-square-foot house on the property. Bluhdorn was only 56 when he died. Among those who attended the private funeral services at St. Mary’s Church was former Secretary of State Henry Kissinger.